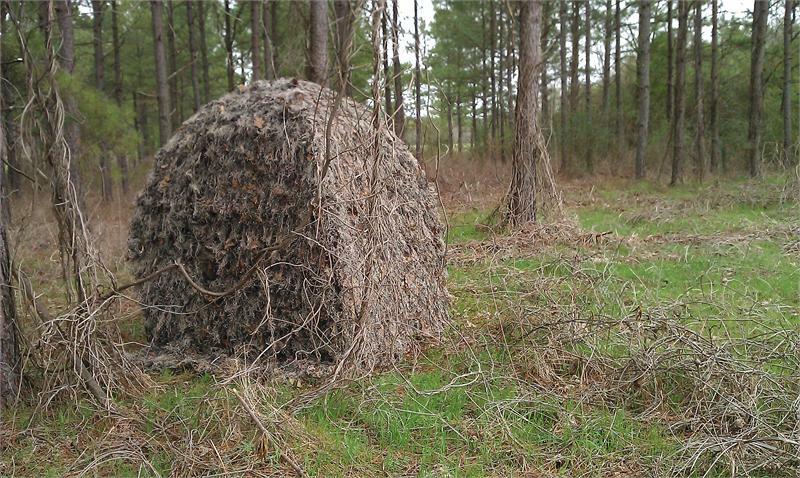 Our Ghillie covers: are built on a Polyester knotted netting with 1” x 1” holes. Synthetic threads are hand tied to the netting. 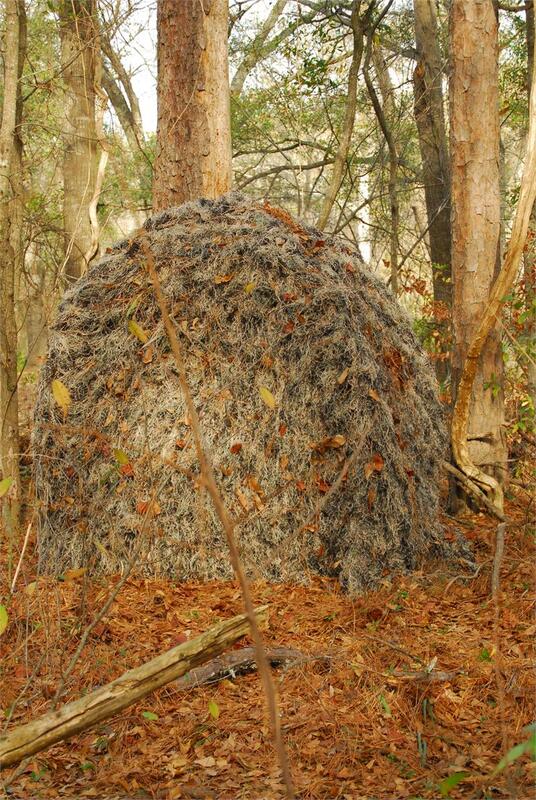 With the netting, you can add local vegetation when out in the field. 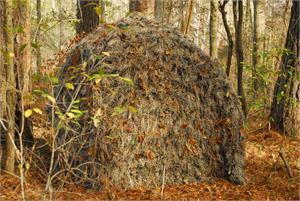 Throw leaves or sticks on the cover to enhance it’s appearance and to help blend in to your environment. 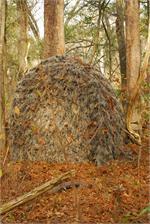 The Ghillie cover is secured using the thread on the cover to tie the sides together. The cover has a top piece that is 70” x 70”, and the (4) attached side pieces are 70” x 60”. Plenty of material hanging down so it lays on the ground. Secure the bottom of the cover to the ground with tent stakes. 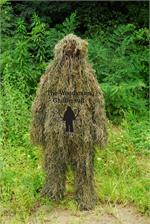 The Ghillie cover comes in it's own 150D waterproof bag, with a shoulder strap for easy transport. 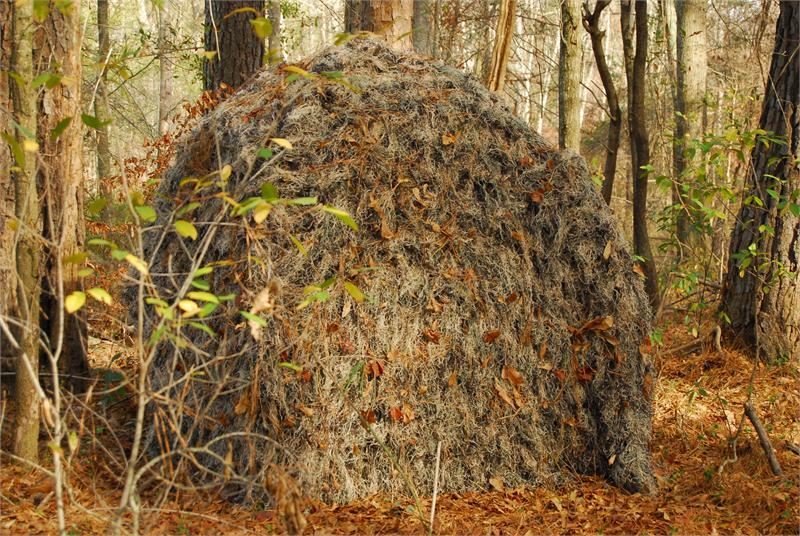 The Ghillie cover will fit most blinds, size 5 1/2 feet by 5 1/2 feet, with an internal height of 6 feet 4 inches.